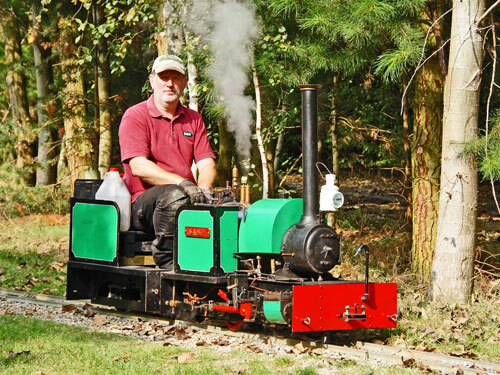 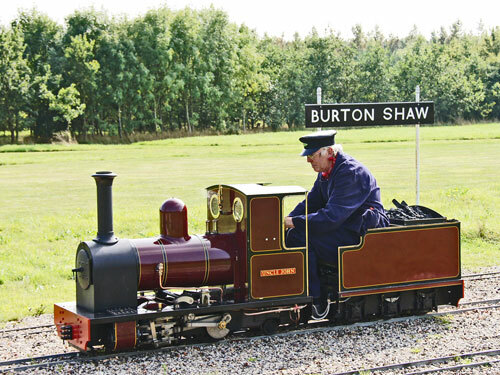 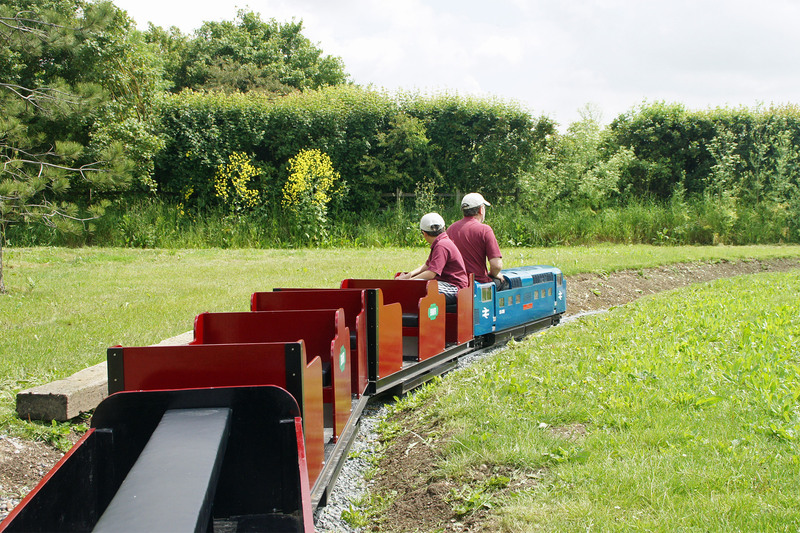 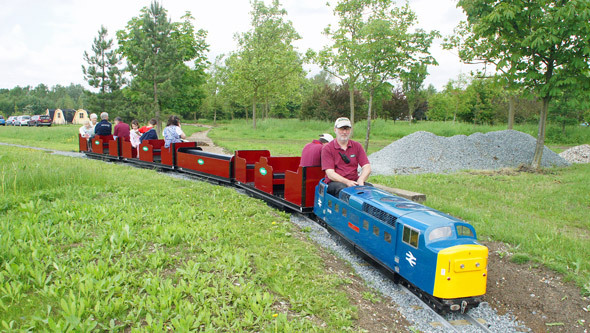 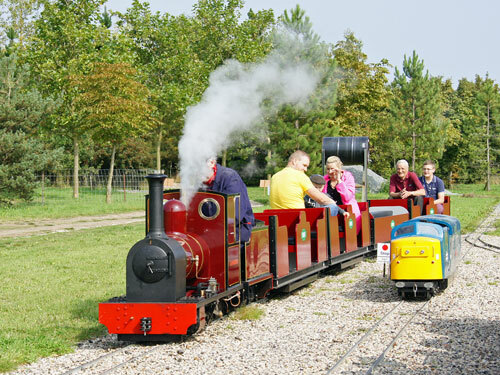 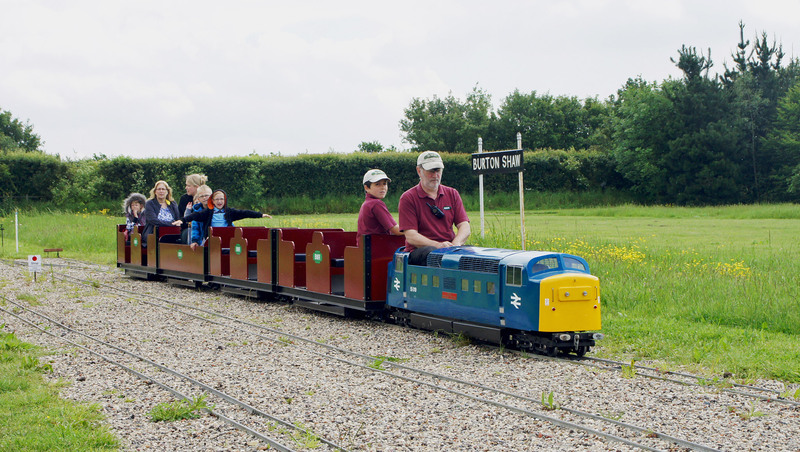 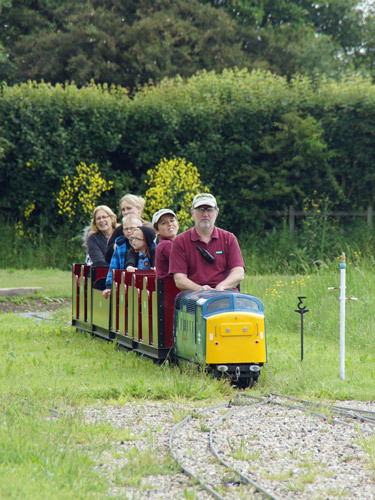 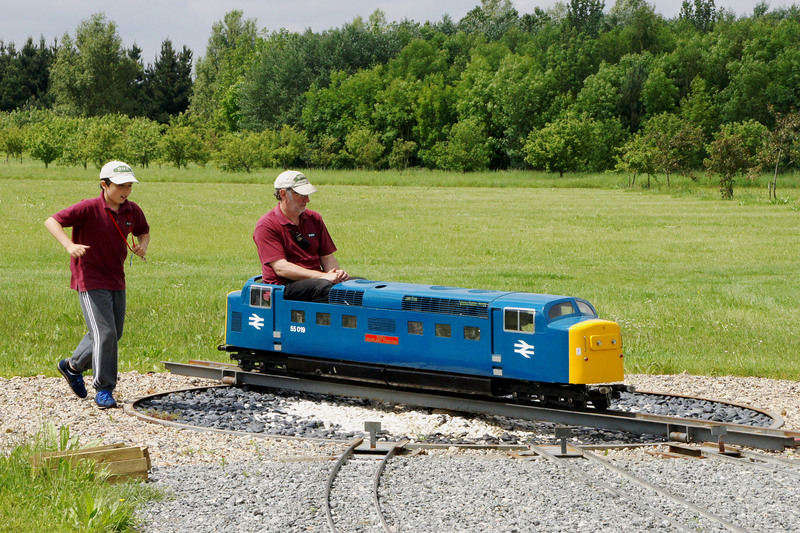 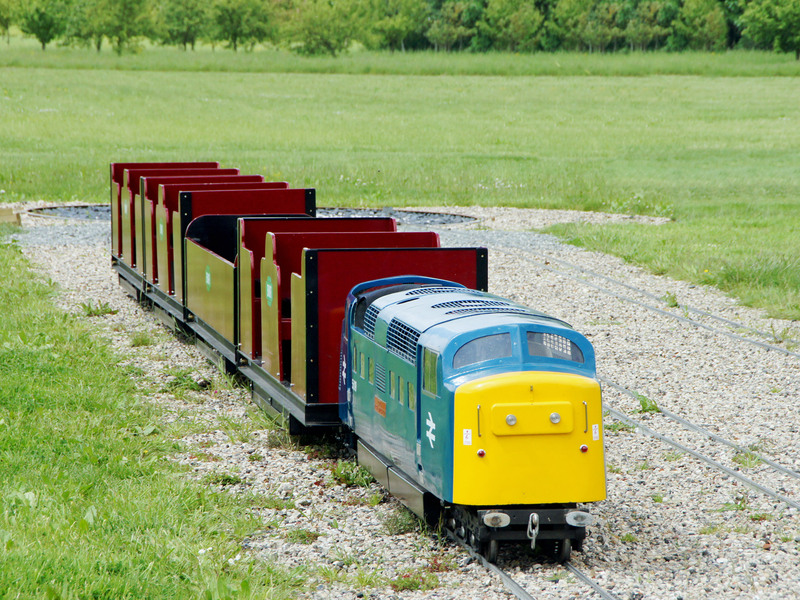 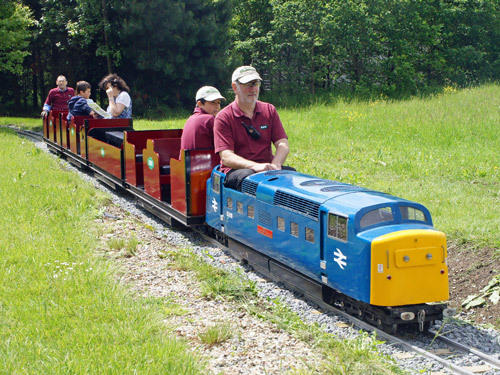 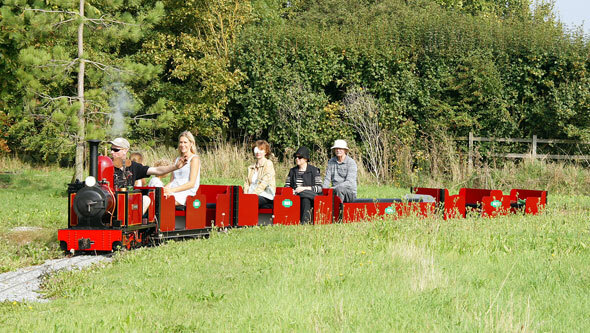 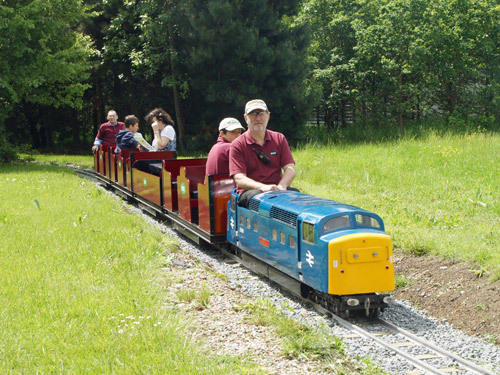 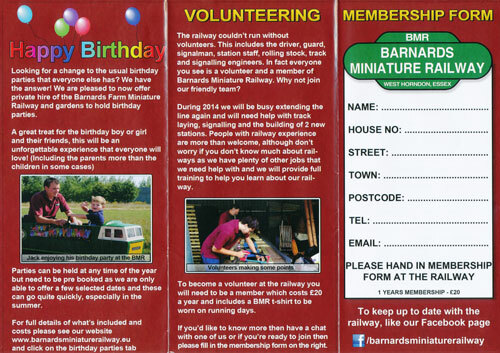 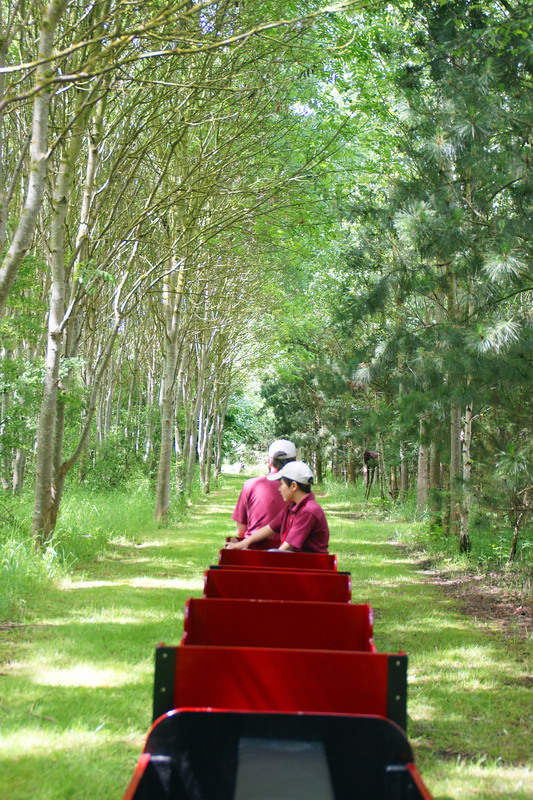 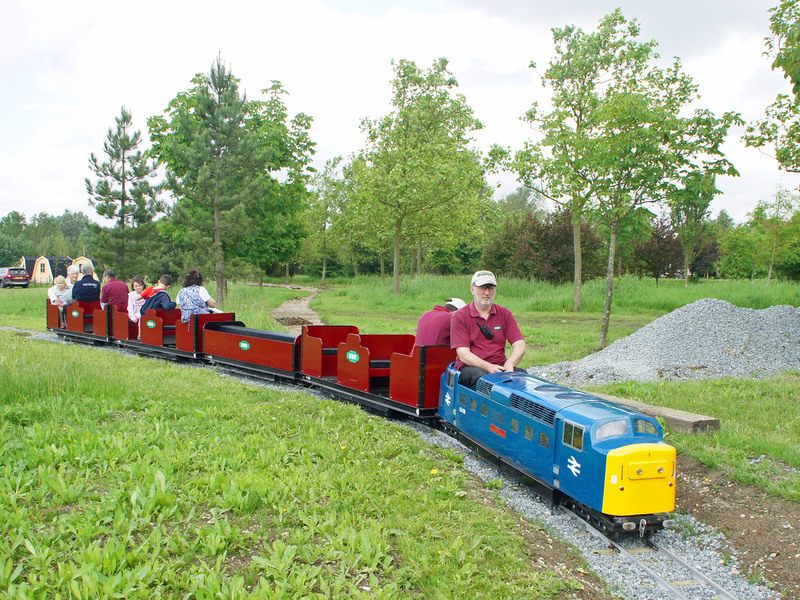 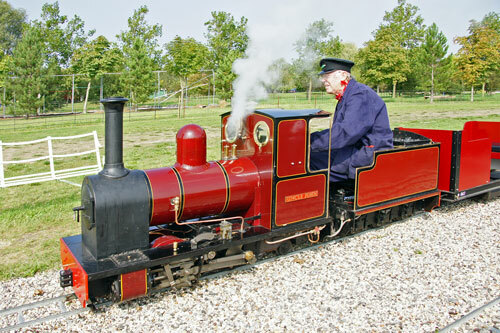 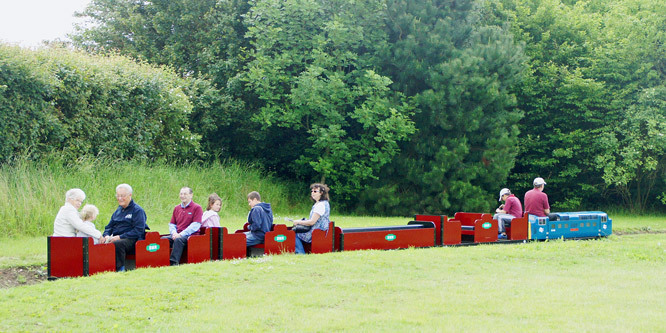 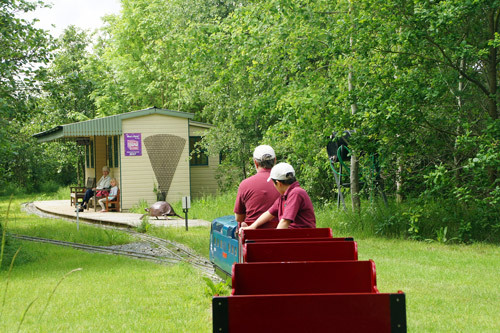 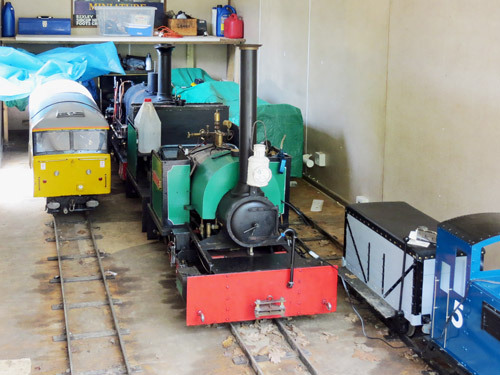 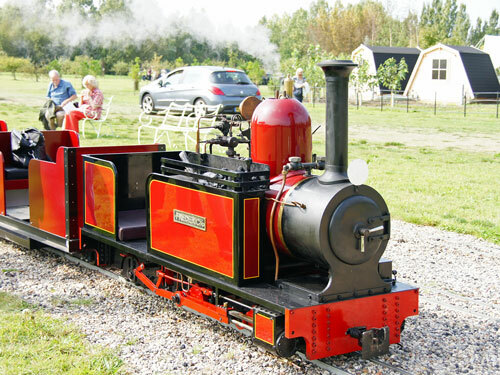 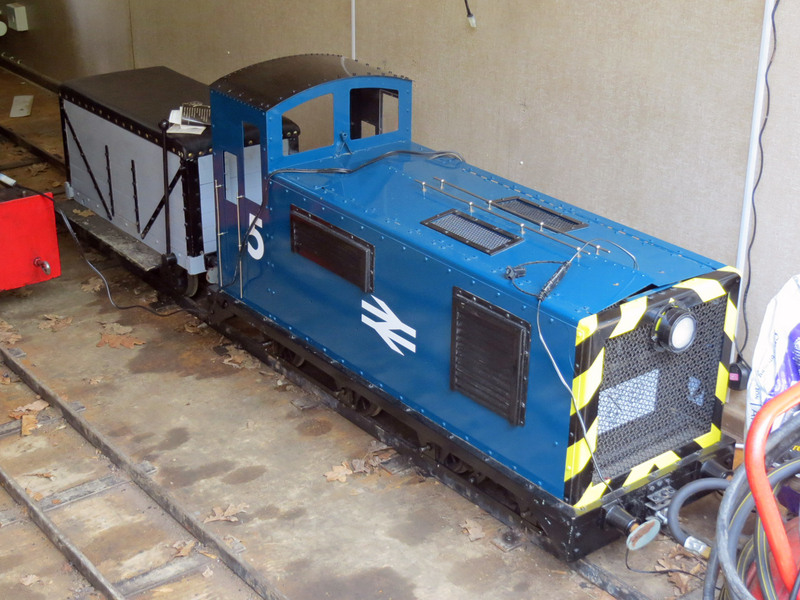 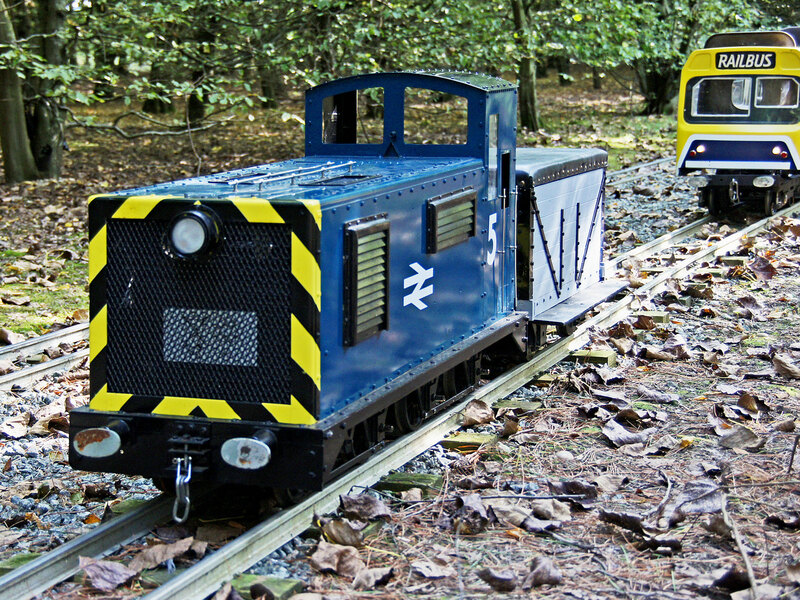 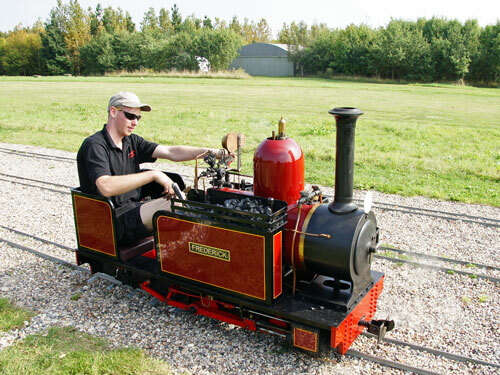 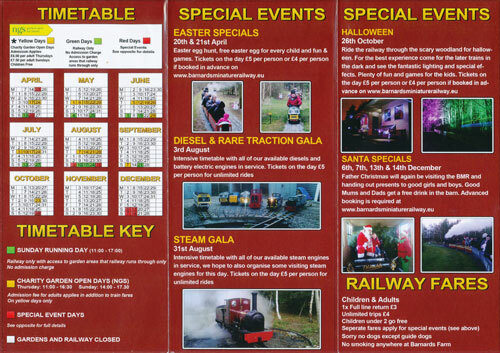 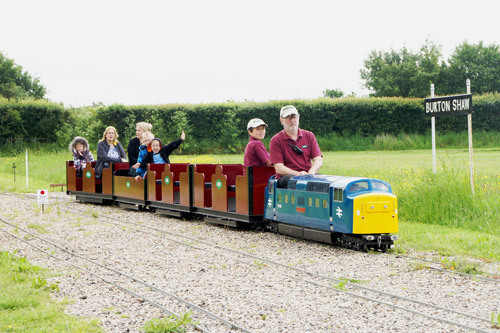 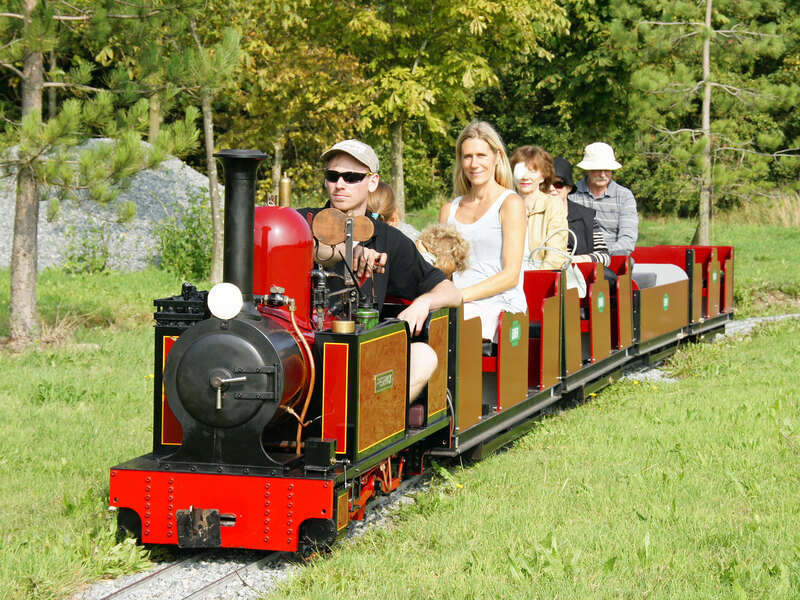 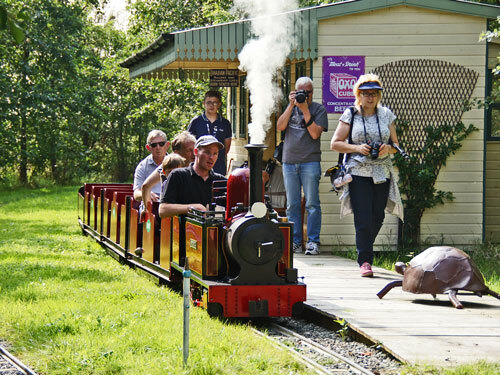 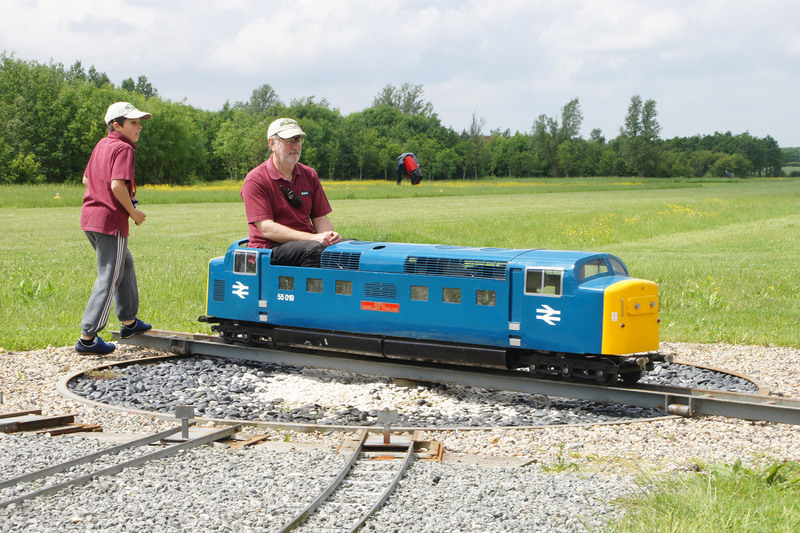 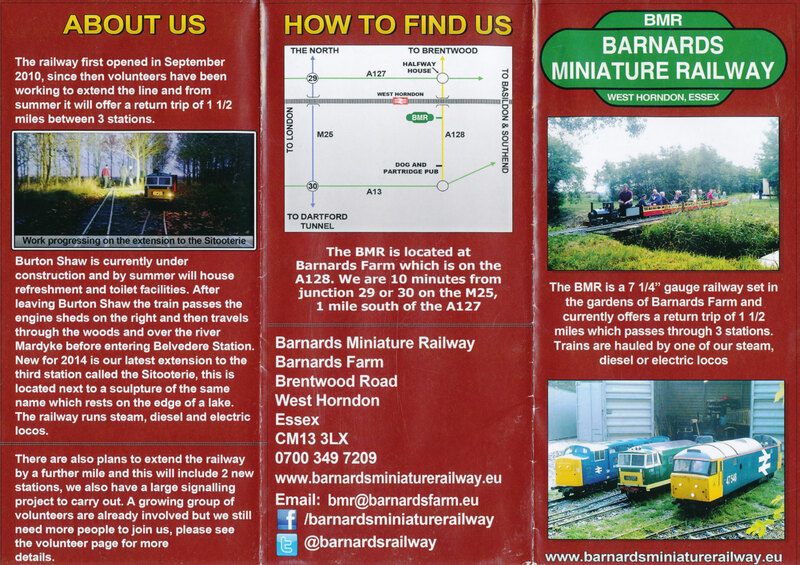 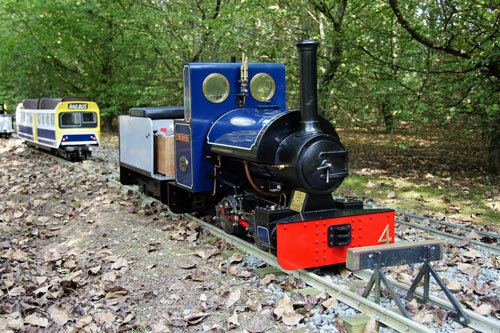 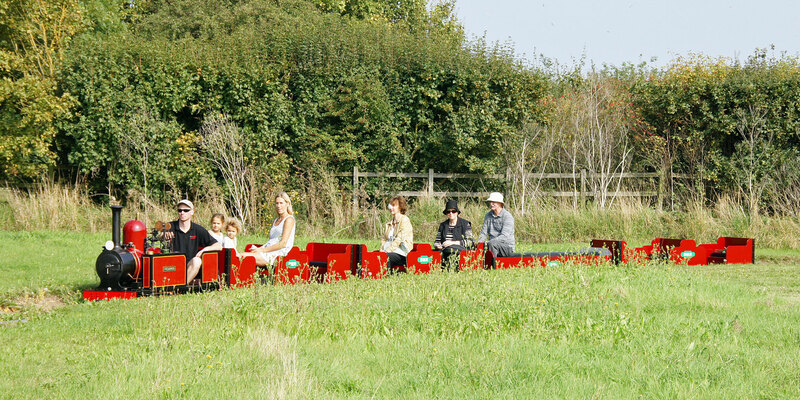 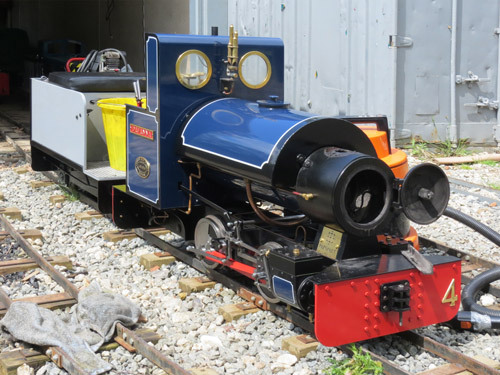 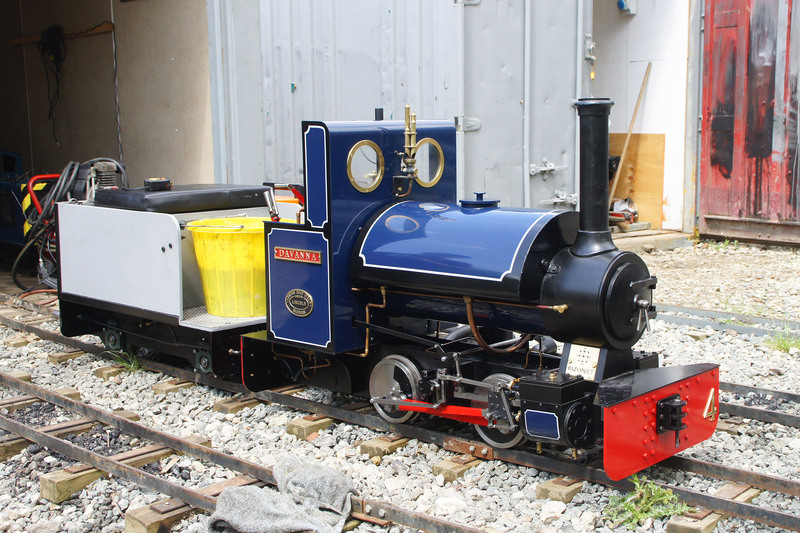 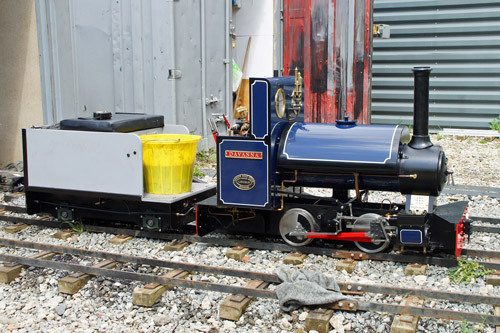 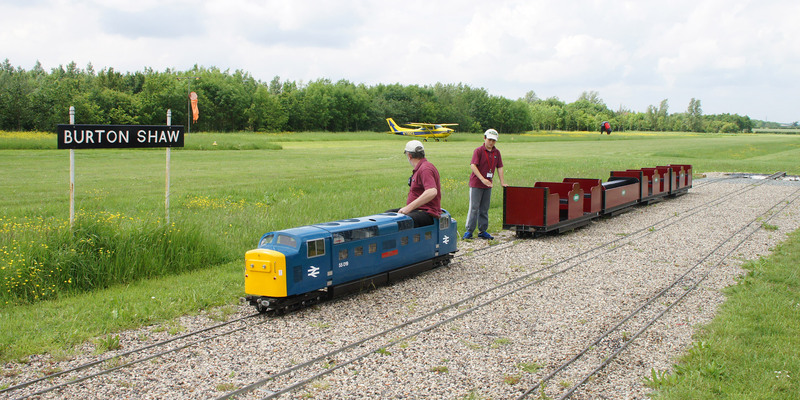 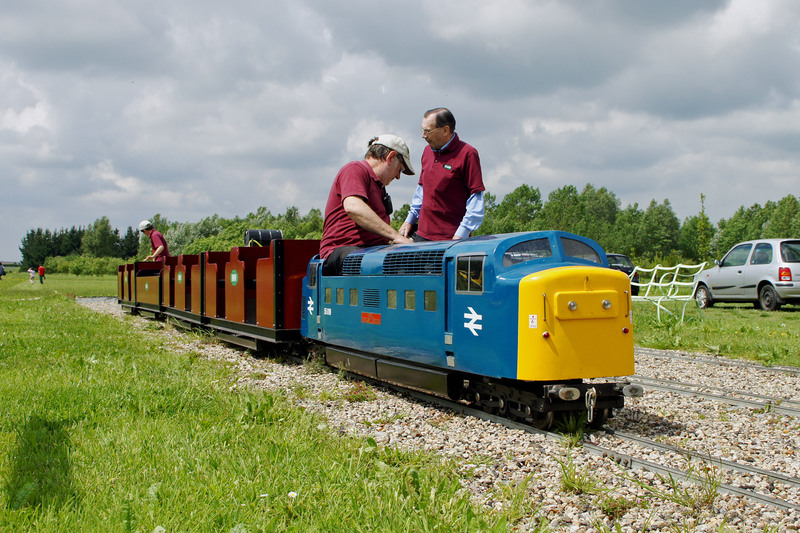 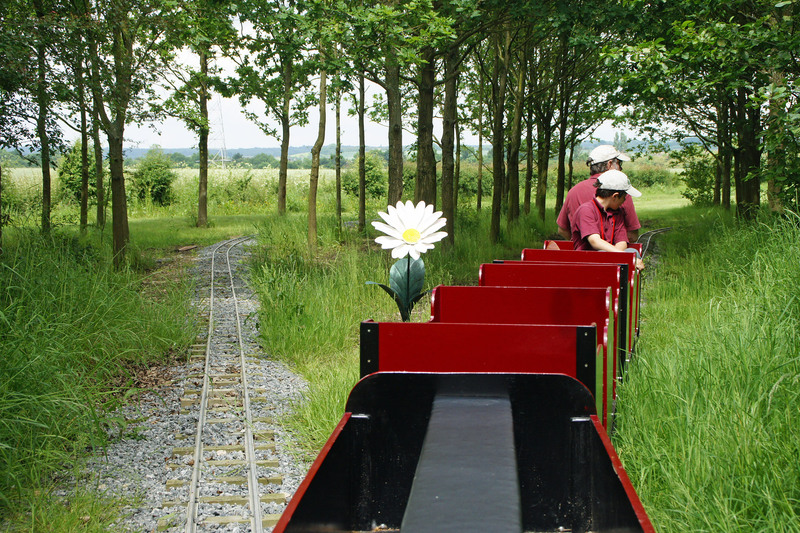 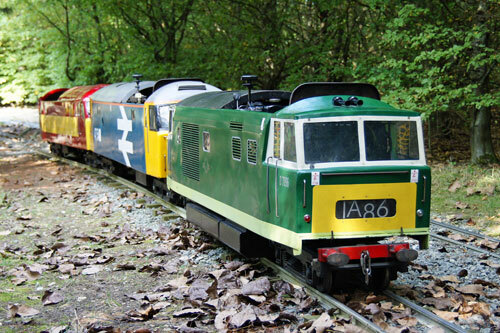 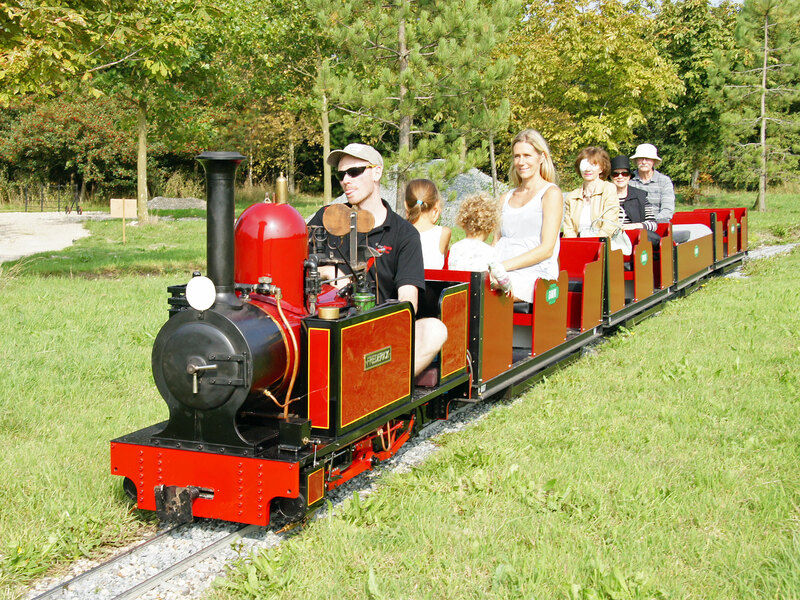 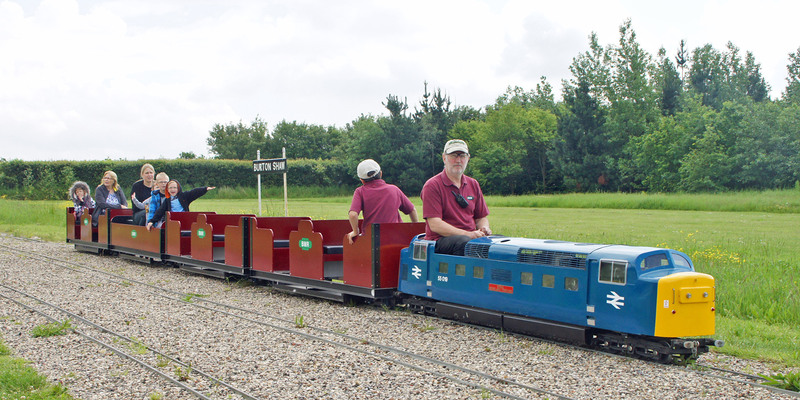 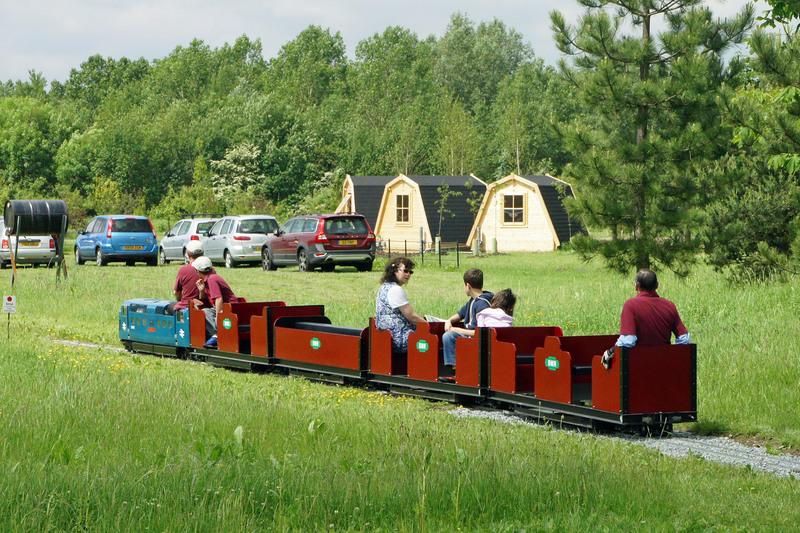 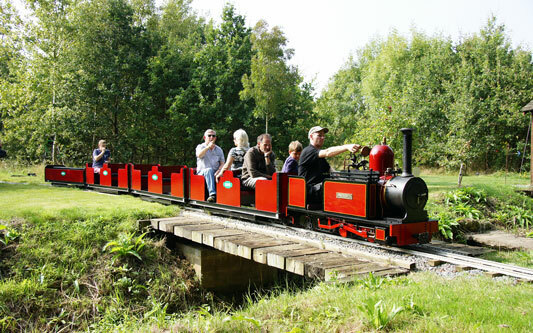 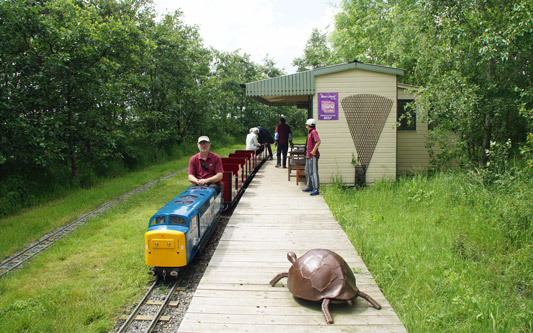 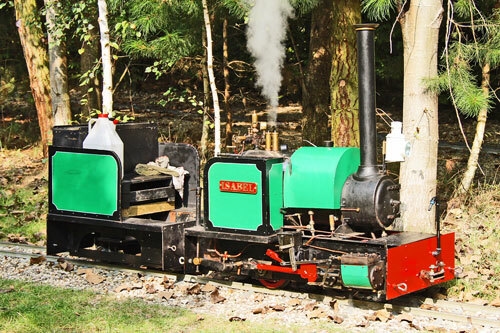 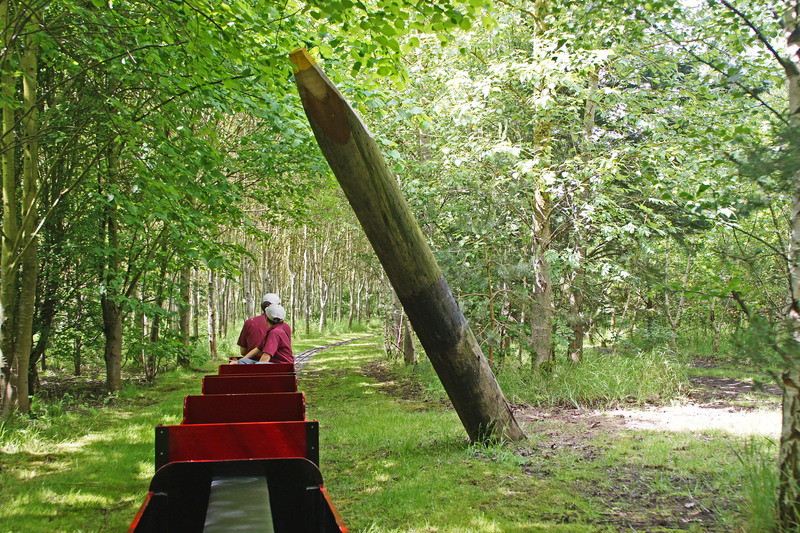 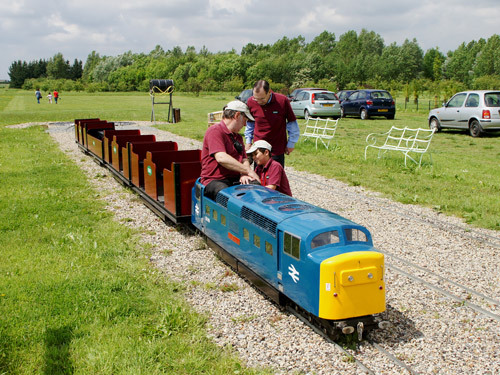 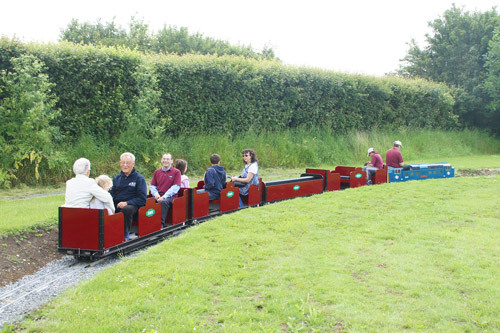 Barnards Miniature Railway was officially opened on Sunday 5th September 2010 when the first 260m of running track was completed. 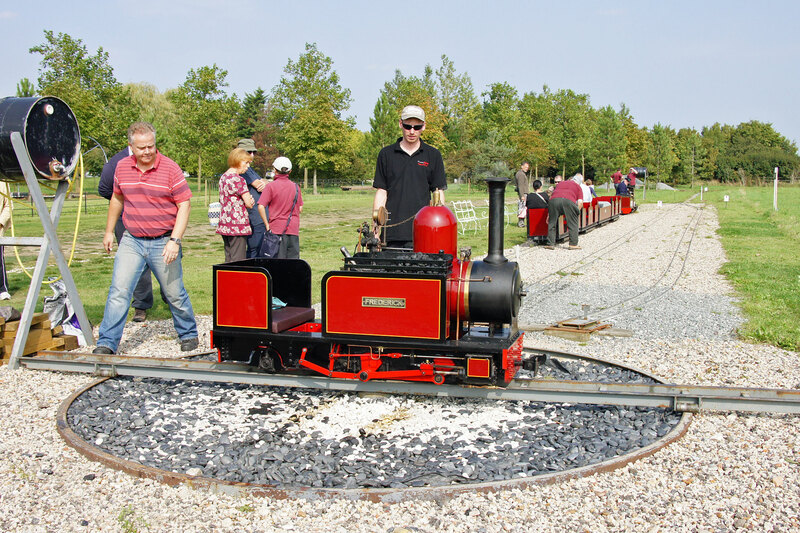 Since then the volunteers have been working hard to extend the line and to date (March 2013) the line runs via a loop track taking you from the car park to Belvedere Station and back which is over 1.4Km. During 2013 more work will be taking place to again extend the line, this time to a new station to be Sitooterie Halt. This will be located next to the Sitooterie sculpture which is on the edge of a lake. 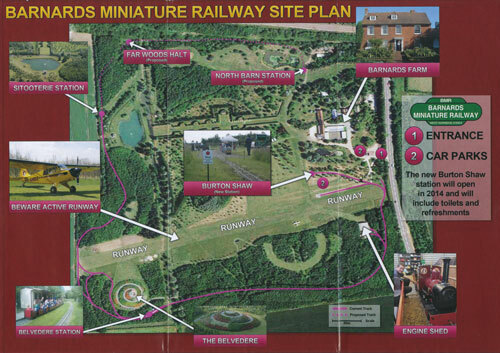 The main Station at the car park Burton Shaw will also be relocated in late 2013 to a more sheltered position where station buildings will be added to complete the railway look. Burton Shaw will be a 2 platform station with 3 tracks. The middle track being the engine release road which will allow our steam and diesel engines to run round their trains via the turntable which will be located at the East end of the Station. 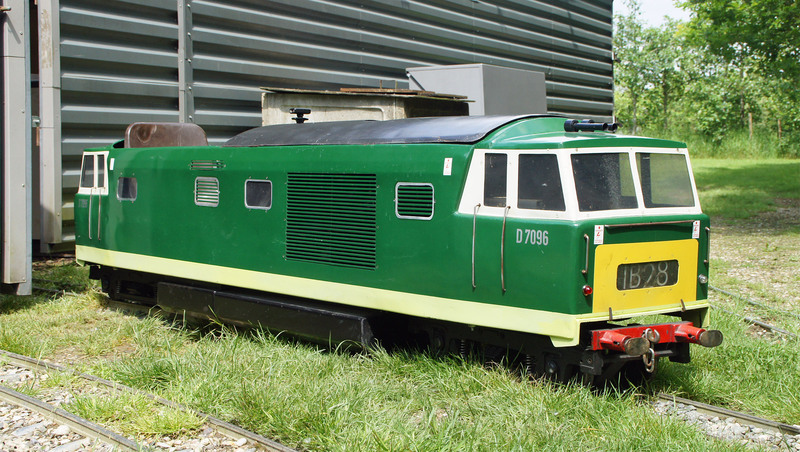 'Deltic' class locomotive 'Royal Highland Fusilier' is a working representation of the iconic Deltic class that worked on the East Coast Mainline hauling express passenger trains in the 1960's and 1970's. 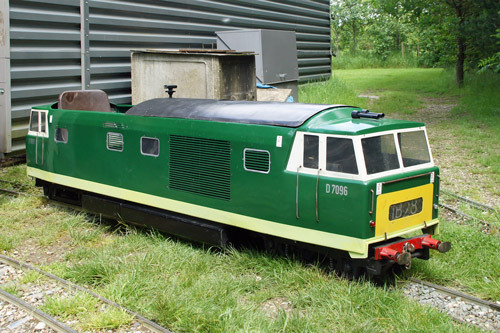 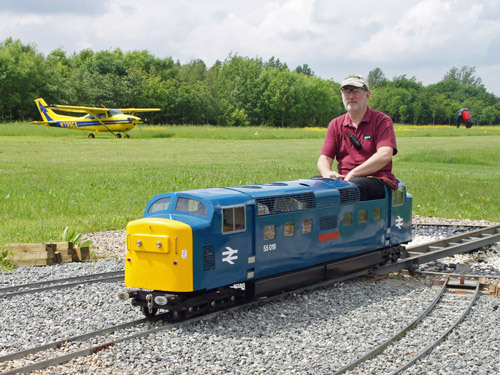 Like the real thing this Deltic is fitted with two engines.